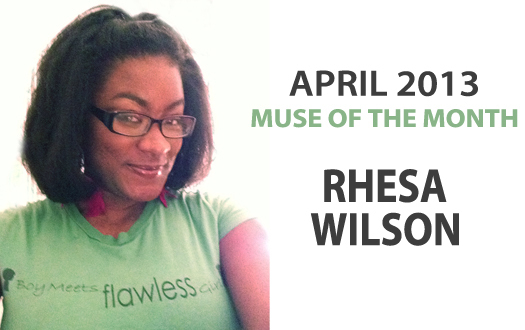 Introducing our April ‘13 Muse of the Month, Rhesa! Love featuring Rhesa this month as the April Muse! Rhesa interned for me a few years ago and since then has been so gracious in helping me during NYFW backstage. Thank you Rhesa! Rhesa is full of life and love her spirit and positive energy. Learn more about her below. Susan G Comen For The Cure (Breast Cancer Awareness) - I think it's a great charity that not only helps raises awareness about breast cancer, but also send monetary donations to help find a cure for this disease. I even switched my bank card to the SGC debit card so that my bank will donate 10% of each purpose to this charity.